When Garth Ennis and Darick Robertson started publishing their uber-violent superhero fantasy The Boys back in 2006, they chose to make the sort of Hollywood called shot that’s paid off so well for Marvel and Samuel L. Jackson: Basing their main character, “Wee” Hughie, off of then-semi-known Shaun Of The Dead star Simon Pegg. On the one hand, that decision totally paid off (in so far as Pegg is now an internationally known face and name), but it also meant that, by the time a screen adaptation of the project was finally in production, he was a bit too experienced to play the black ops team’s youngest recruit. 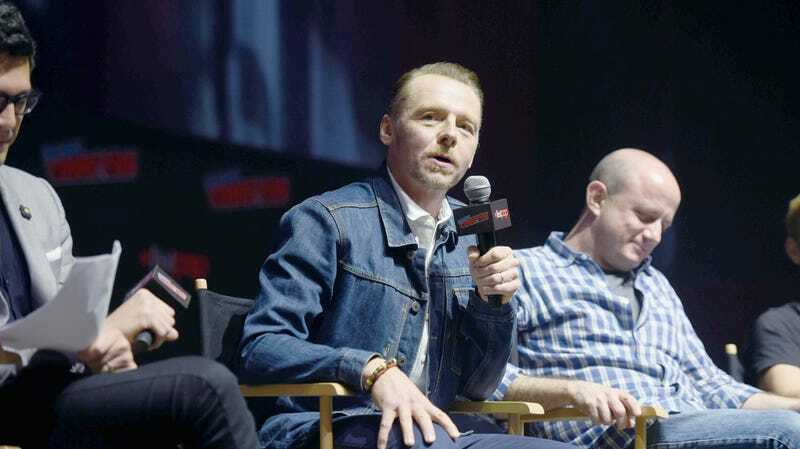 Nevertheless, Deadline reports that Pegg is set to appear in Amazon’s TV adaptation of Ennis and Robertson’s book. Rather than Hughie himself—who ends up as part of a five-person war on superheroes after one of them carelessly kills his girlfriend in the middle of a fight, and who’s played by Jack Quaid—though, Pegg will be playing the character’s dad. The Boys debuts on Amazon some time in 2019.